Orbital ATK has been involved with NASA's great space telescopes for decades designing and building key components for both the Hubble Space Telescope and the James Webb Space Telescope (JWST), Hubble's successor. Hubble has been in orbit for over 25 years, sending back stunning imagery of our solar system and the universe throughout its mission, while JWST is set to launch in 2018. 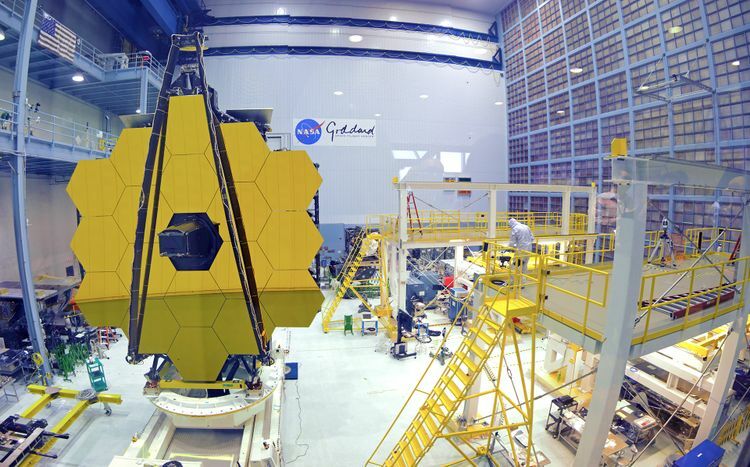 JWST is deemed the largest and most powerful space telescope ever built. The infrared telescope will observe the most distant objects in the universe, providing images of the first galaxies formed. Orbital ATK has been an integral part of both Hubble and JWST since the beginning of each project. Most recently, Orbital ATK’s Space Components Division shipped the Orbital ATK-designed and manufactured fuel and oxidizer tanks for JWST. These propellant tanks will contain the fuel needed to get JWST into orbit to begin its planned 10-year mission. In 2013, Orbital ATK also delivered the primary mirror backplane support structure (PMBSS) for JWST, which is designed to support the telescope’s beryllium mirrors, instruments and other elements. The PMBSS will hold the gold-coated primary mirrors nearly motionless while the telescope is in orbit. For Hubble, Orbital ATK heritage companies designed and fabricated optical benches and thermal controls, provided engineering support and even designed the extravehicular activity (EVA) tools used by the astronauts to service the telescope during manned missions. More than 70 Orbital ATK engineers and technicians continue to support robotic satellite servicing through NASA’s Satellite Servicing Capabilities Office (SSCO) at Goddard Spaceflight Center. In addition to supporting Hubble and JWST, Orbital ATK is also providing engineering support for NASA’s Wide-Field Infrared Survey Telescope (WFIRST), which is designed to answer questions about dark energy, exoplanets and infrared astrophysics. Orbital ATK also designed and is responsible for the integration and test of NASA’s Transiting Exoplanet Survey Satellite (TESS) which, when launched in 2017, will identify planets orbiting stars outside of our solar system for further study by JWST and other future telescopes. A panoramic view of the James Webb Space Telescope mirror in the NASA Goddard clean room. Credit: NASA.